The long awaited Voll B50 is coming soon. Please check back regularly for more details. 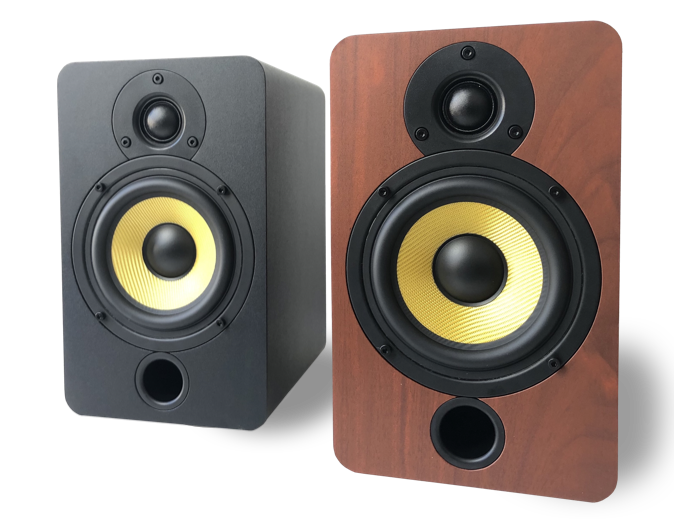 We’ve spent the last year working to bring an even better performing bookshelf speaker to market. We’re excited to announce the successor to the B44, the Voll B50! The B50 features a 5.25″ Mid/Bass driver for vastly improved low end response. The B50 also features a new front ported cabinet design (comes in two colours!) and rear mounting plate for easy wall mounting.